Dear Members of the USIU-Africa Community, Supporters and Friends—Greetings! The Process of Finding the 5th Vice Chancellor of USIU-Africa The outcome of the search for a new Vice Chancellor at USIU-Africa is successful on many fronts: not only was an outstanding individual—Professor Paul Tiyambe Zeleza—selected and appointed, we must also note that a celebratory and dignified exit was made for the previous Vice Chancellor, Professor Freida Brown. The installation of Professor Zeleza as the 5th Vice Chancellor of USIU-A takes place on Thursday, April 7, 2016. This special event marks the culmination of a series of intense activities that effectively began four years ago, in November, 2012, but kicked into high gear during the months between November 2014 and July 2015 when most of the activities and events at the heart of the search took place. Looking back on that intensive 9-month period, there were some key aspects of the search process that set the foundation for the transition we celebrate on April 7th. Inclusivity and Transparency: A professional academic recruiter with international experience was retained to seek out the best candidates possible. The Board of Trustees felt very strongly that the university needed someone at the helm who could consolidate our gains and provide the impetus for a marked upward trajectory of achievements. As a result, the Board developed a list of priority issues to guide the recruitment of the best person possible. This was undertaken with the participation and support of the entire campus community. In addition to regular members of the community, the USIU-Africa Alumni Association also made a dedicated effort and took part in campus meetings with the finalists. The strength of an involved and engaged university community resulted in feedback that said, from this perspective: “we got it right.” Without a doubt, having an inclusive and transparent process where all members of the USIU-Africa community had a part to play in event leading up to the final selection was the linchpin for a successful search. Guidelines and Agreed Protocols: The importance of having all members of the Search Committee remain “on message” during telephone interviews as we whittled down the initial 65 applicants to a more manageable 16 and then 8 cannot be understated. The scope of interviews, therefore, was scripted to ensure that all questions were covered during reference calls. Similarly, in scoring the initial applicants: 8 criteria listed in the search profile as “must have” skills, competencies, qualifications, and experience carried the most weight in vetting candidates. These criteria (listed here in random order) were: strategic planning; fundraising and development; financial management and resource development; fostering of community trust; strengthening academic programs and fostering research activity; experience with accreditation; experience working with a board; and leadership and communication skills. Decisions were arrived at by consensus. Openness and Feedback: Managing campus expectations and maintaining focus on the fact that all the activities were designed to provide the Board of Trustees with sufficient information to make the best decision for USIU-Africa was ongoing. The recognition that the final decision rested with the Board and that role of the committee was not to recommend any particular candidate but to lay out a complete itemization of data arising from the search process did not stifle openness. In fact, feedback to the Search Committee and the Board through the online surveys, at the Barazas and at meetings was thoughtful, frank and often very blunt. Members of the USIU-Africa community minced no words in voicing their concerns, ideas and enthusiasm for one candidate or the other and provided convincing arguments to back up their opinions. All told, we as a community are fortunate to have had the enviable luxury of selecting from among a solid group of applicants and finalists and the Board benefited from the candid feedback in arriving at a decision. Privacy and Confidentiality: The University Legal Counsel Ms. Helen Ambasa, served as Coordinator to the Search Committee. Her functions included serving as the main point of contact between the search firm and the committee. She also ensured that all forms of data and information were maintained securely and was trouble-shooter for potential legal concerns. Her role was essential in ensuring that the privacy and confidentiality of candidates was maintained at all times throughout the process. 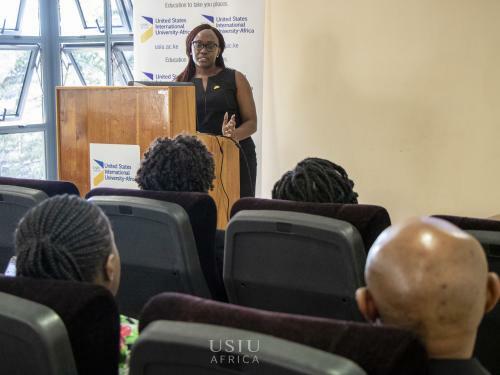 That being said, the feedback from all semi-finalists and finalists was real appreciation for the warm welcome they were accorded by USIU-Africa during their campus tours and two-day campus visits, respectively. Professional Support for an International Search: There was very little room for error in conducting the search and it was important to spread as wide a net as possible in announcing the search. Sourcing in the Consultant’s network alone included emails to 400 directors of international education/international programs, private and public. Use of an international search firm and targeted advertising in a substantial number of forums and media outlets both within Kenya and internationally, was crucial for securing wide range of candidates. The outcome was a fine cross-section of 65 applicants hailing from East, West and Southern Africa, Europe, the Americas, and South Asia. Their professional qualifications included expertise in engineering, the medical and social sciences, business and management. While the overall quality of the candidate pool was very strong, however, our efforts yielded far fewer female applicants than hoped for. 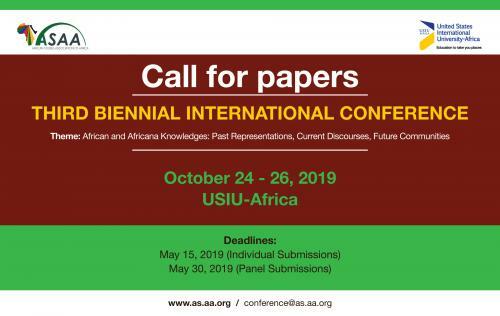 This speaks to the need to continue to encourage and support high level academic opportunities for advancement by African and African diaspora women. The search process was an invaluable experience that forged new professional relationships and friendships among all involved. There were also lessons learned. For example, having a clear strategy for public announcements was very important in ensuring that the campus community was updated at key points during the search process. Also, the need for clear and ongoing communication throughout the process both within the Search Committee, from the Committee to the (then) Vice Chancellor and the Board of Trustees, as well as between the Committee and the consultant, was essential, but not always perfect. Some feedback received during discussions evaluating the process included the fact that time allocations for various meetings were either too lengthy or too brief; there were both benefits and disadvantages of having more rather than fewer finalist candidates; and the costs of bringing more semi-finalists to Nairobi rather than interviewing by Skype or in smaller, separate committees had to be evaluated in light of our long-term goals. 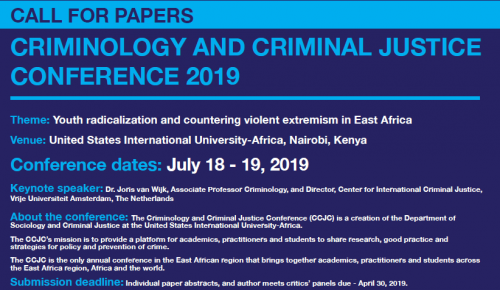 Ultimately, the neutral, off-site interviews in Nairobi proved invaluable as those intensive sessions validated the overall excellence of the candidates in person and forced everyone involved to spend the time carefully weighing the merits of each individual against the needs and aspirations of USIU-Africa. Members of the Search Committee deserve credit for a really strong attendance record and a willingness to maintain open communication, even where differences of opinion existed. Having the protocols in place for evaluating the candidates was a great help here as it was tedious and time-consuming to wade through each level of criteria for each candidate while avoiding becoming lost in the detail. In addition to all this, there were various unanticipated internal and external challenges to the university’s morale, not the least of which were the untimely transitions of important people such as ICT Director Ms. Regina Mutoko, and University Trustee Professor Barbara Mahone Brown. University leadership is often a balancing act between equally important imperatives. But at USIU-Africa we can take pride in the fact that when it comes to being the best, there is no compromise. On that note, it is a pleasure to conclude this summary of the search process with hearty congratulations to Professor Paul Zeleza on the historic occasion of his installation as Vice Chancellor, United States International University-Africa.